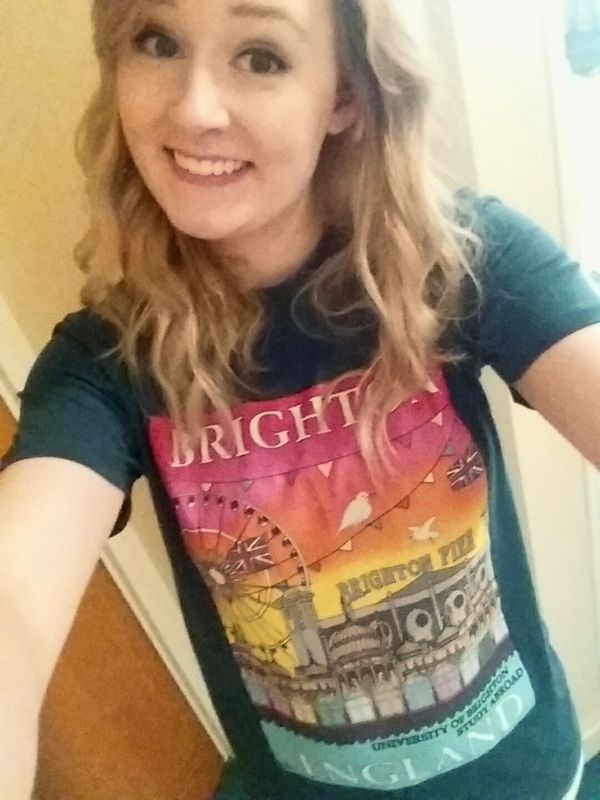 I couldn't find a t-shirt that captured the true essence of Brighton so I made one instead! This shirt features my original design and is available for three weeks only, get it before it's gone forever! Hello! My name is Becca and I am currently a yearlong study abroad student at the University of Brighton. 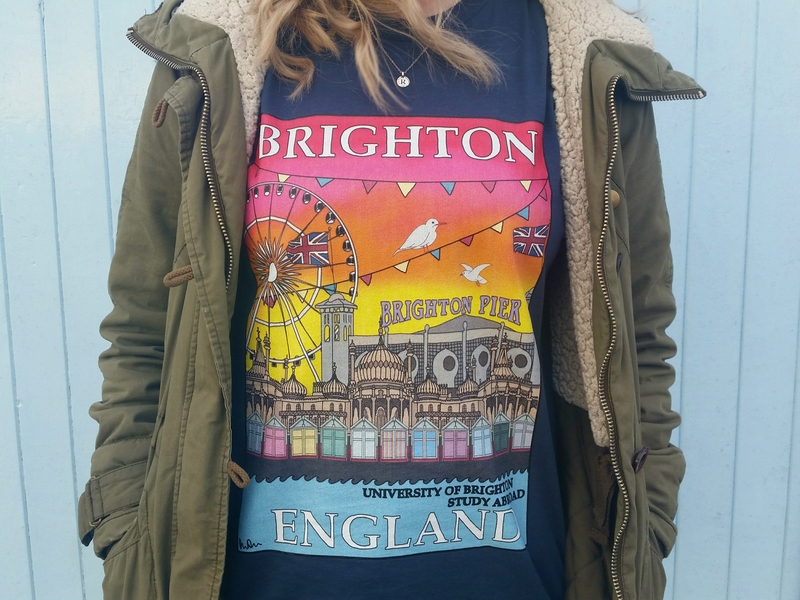 My love for Brighton inspired me to design this shirt and I hope you enjoy it as much as I do. For reference on shirt sizing, I am approximately 6' and ordered a medium, which fits me well. Also, the printing quality is very good, (I ordered one for myself before launching this campaign just to be sure). The one I have on in the example pictures is slightly different to the one being sold, but just as cute!